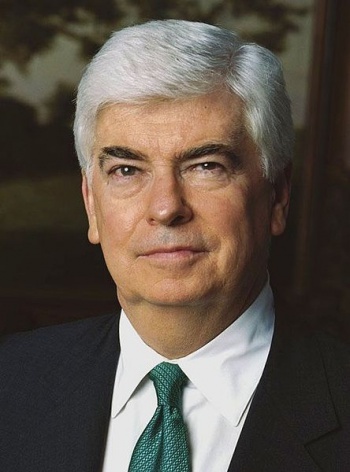 Chris Dodd was a big supporter of SOPA. After an angry comment last week, a petition wants him investigated for bribery charges. Former senator Chris Dodd left office in January, 2011. A month later, he was hired on as the president of the Motion Picture Association of America; so it's not surprising to hear that the man was a big supporter of the Stop Online Piracy Act. Now, in the wake of that horrible legislation's fortuitous death, Dodd's made some statements that have earned him a lot of criticism. Actually, criticism is the least of the negative reactions brought on by his comments: A new petition is calling for the Obama Administration to investigate Dodd for bribery charges. Last week, Dodd implied that Obama would have a much tougher time raising money in Hollywood after he publicly stated he planned to veto SOPA if it passed. "Those who count on quote 'Hollywood' for support need to understand that this industry is watching very carefully who's going to stand up for them when their job is at stake," Dodd told Fox News. "Don't ask me to write a check for you when you think your job is at risk and then don't pay any attention to me when my job is at stake." This is an open admission of bribery and a threat designed to provoke a specific policy goal. This is a brazen flouting of the "above the law" status people of Dodd's position and wealth enjoy. This isn't the first time the man said some controversial things in support of SOPA. After sites like Google, Wikipedia, and Reddit engaged in a Web-wide blackout last week, Dodd accused them of abusing their power and using their power to "intentionally skew the facts to incite their users in order to further their corporate interests." At the moment, the petition contains over 23,000 signatures. If it reaches 25,000, the White House will respond to it. UPDATE: The petition has reached over 25,000 signatures. The Obama Administration will now respond to it, but exactly whom responds has yet to be determined. According to the We The People, "Petition responses will come from a variety of Administration officials, including staff at the White House. From time to time President Obama may respond directly to petitions, but we expect most of responses to come from other Administration officials."